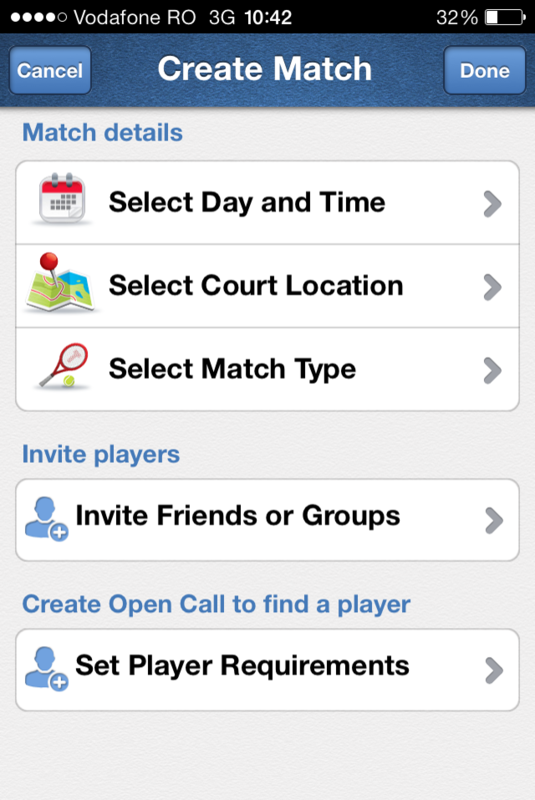 Tennis Match Manager is a mobile application that allows tennis players to meet up and schedule tennis matches. This app also serves as a micro social networking service, as users are able to add friends as well as to suggest tennis players to other users. 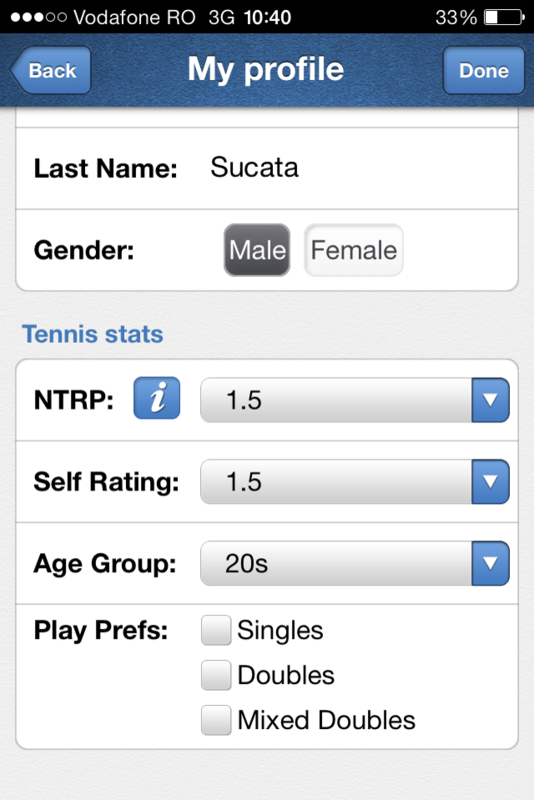 Tennis matches organized using this mobile application can be public, allowing other users to see them, or private, thus being available only to selected users. Opening the Tennis Match Manager application will prompt the user to setup a personal profile. Users will have to input their personal details, including name, gender, and tennis stats. The latter includes information such as NTRP (National Tennis Rating Program for USTA League), self-rating, age group, and play preferences. All these details are required for accurate matchmaking, leading to a better all-round matchday experience. Users have a dedicated page at their disposal to create a match. They can select the details, such as the date and time of play, court location, and match type (singles, doubles, or mixed doubles). Furthermore, they can invite their friends or other groups to the game, while also setting the player requirements of their opponents. When creating an Open Call, users can set how many players they need along with the same player requirements as they would set in a private match with their friends. Other players can respond to Open Calls and, once an invitation is accepted, both the match creator and accepted player are charged one credit. 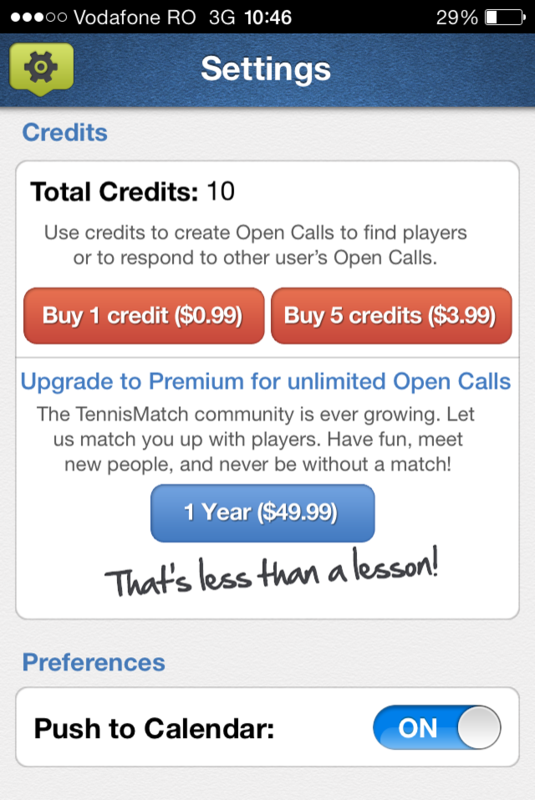 Tennis Match Manager also supports in-app purchases. Users can buy credits or get a Premium subscription, which consists of unlimited credits for one year. Each credit represents an Open Call, a feature that allows users to invite players from outside their friends’ list to their tennis match. Another useful feature of this application is the ability to push a match to the iOS calendar. When turned on, this option will allow Tennis Match Manager to create a custom calendar event to remind users of their match details. The application has been developed to follow the guidelines of the iOS design language. As a result, its UI is both intuitive and easy to use. Locating tennis courts can be done with ease, as interactive maps are supported. Court location will be selected directly from the Create Match menu. Apple push notifications are supported and the Tennis Match Manager app sends out alerts that include match confirmations as well as match invitations, therefore users do not have to constantly open the application to check for new events.